Save Time and Money with the Quicksilver Upgrade for your Rasor Cutting Machine. When cutting Stainless Steel and Aluminum Improve Consumable life, Weld-ability, and Secondary Cleaning. For questions or more detailed information call 1-800-707-2767. For more information on Quick Silver features click here. The Euroma Drill Unit model # F. P.8.75 will accept a standard ER series 20 spring type collet. The drill size range is .040 - .375 inches on mild steel and .500 on aluminum. Best results are achieved using twist drills made of Cobalt or high speed steel titanium nitride coated. The drills are right hand screw machine type providing proper overall drill length. The Komatsu Fine Plasma Cutting System produces fine line surface etching utilizing an argon plasma gas and low current, (6-18 amps). 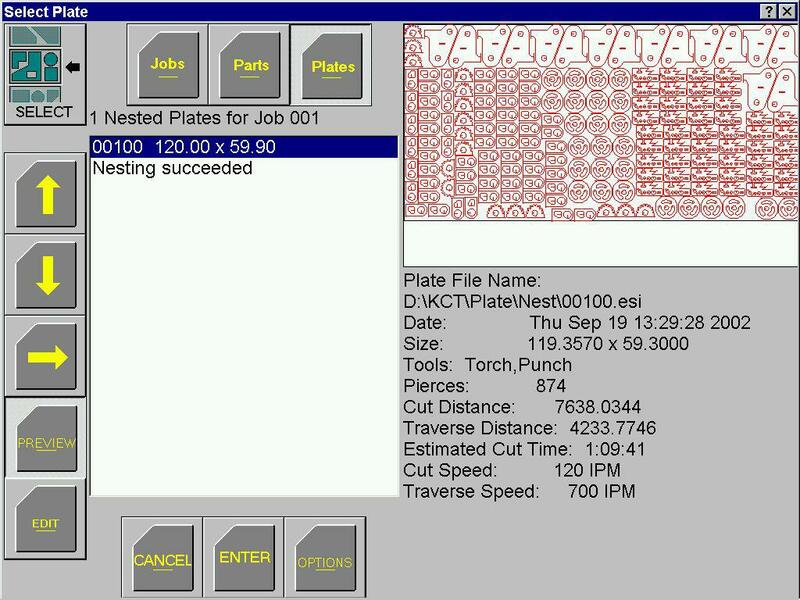 Plasma gas is automatically changed over and the argon gas is delivered to the torch when the marking sequence is activated through the machine / part program code. Simple G & M machine code activates the marking sequence. Weld line, bend lines, part identification, center punch marks, or profiling can be done on parts using same plasma unit without consumable changing or other set-up time. The parameter sets are loaded to the associated material type thickness and nozzle size selected from the library. 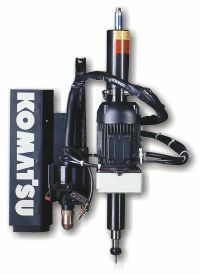 The Komatsu Fine Plasma Cutting System now includes computer controlled start and main cutting current. 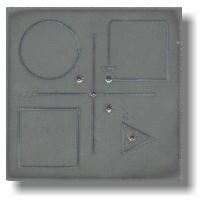 The computerized current management system eliminates operator error in setting wrong pilot and main cutting currents. 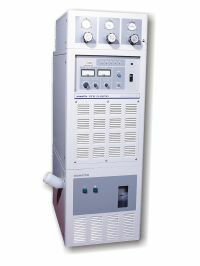 This provides faster set up time, more consistent arc starting, and longer consumable life. Hourly operating costs and cost per part will be reduced due to computer management. The new Rasor Rev V2.0 software is available. 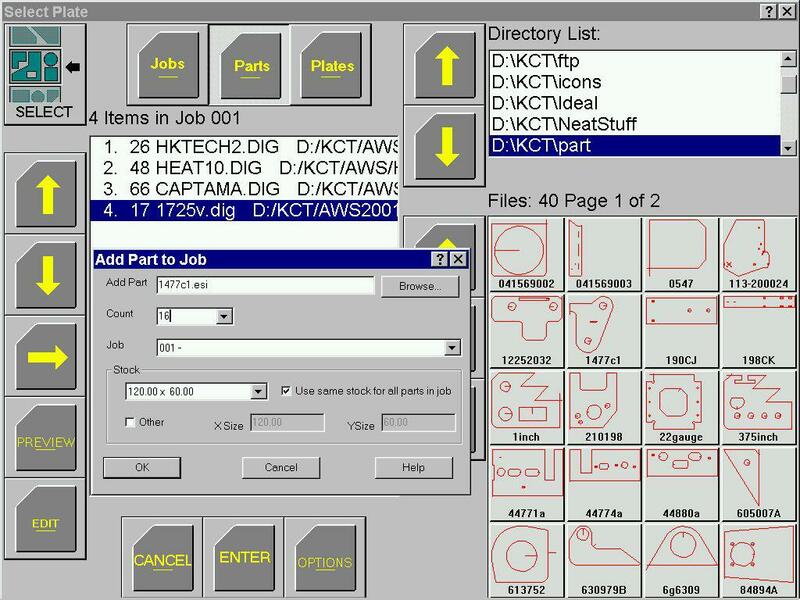 It contains Nesting and SofTool 2D Shape Library at the controller. Optional software that may be installed on the controller or on a separate Windows computer includes PathMaster for Windows, and the SofTool 3D library. The Rasor Server Software supports up to 10 of the Rasor 5x10 and Rasor 4x8 cutting tables.. The Rasor Nest and PathMaster software provide a complete CAM system for your Rasor and Twister Machines.